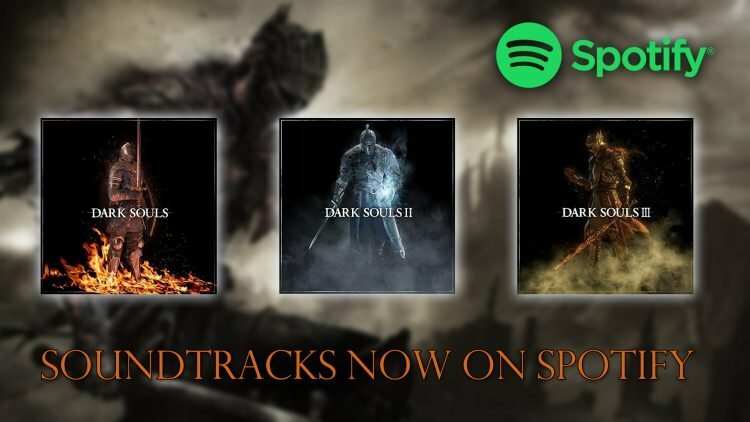 The entire Dark Souls trilogy soundtrack has now been added to the music streaming platform Spotify. A lot went into the Dark Souls series, character design, creepy environments, brutal action, but it is only enhanced by the integral soundtrack that puts the player on edge during those most momentous scenes. As of now, you can relive these epic battles through Spotify, as they’ve now added all three original soundtracks from Dark Souls, Dark Souls II and Dark Souls III. 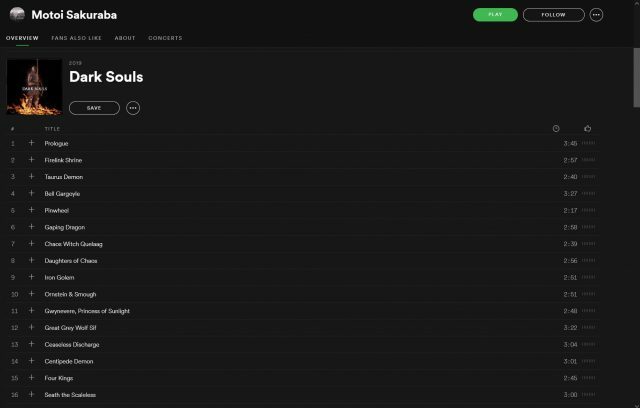 However, those who were hoping to relive soundtracks from Dark Souls III in it’s entirety might be a little let down, as it’s only the abridged version that has made it to Spotify. What this means is you’ll be able to find all the tracks that appear in the game, however some will be the shortened version. While this is a slight damper you will still be able to enjoy all the tracks from the game. This is not the first time that game music has been added to Spotify with the recent addition of a slew of track from Capcom which include Monster Hunter, Devil May Cry, Mega Man and more being added to the streaming platform. It’s great to see more composers’ work being added to the platform, which means more can enjoy their music from their favourite games, anywhere and at anytime. Thanks to Reddit for spotting these tracks now on Spotify. You can find the playlist for Dark Souls, Dark Souls II and Dark Souls III here. If you want to read more about the music that goes into FromSoftware games you should definitely find out about the inspiration that went into their latest IP Sekiro in Composer Yuka Kitamura Explores Inspiration Behind Sekiro Soundtrack. If you enjoyed reading about FromSoftware news, be sure to read next 10 Things I Want From Sekiro Shadows Die Twice, After Dark Souls. You can also read about the Dilapidated Temple hub as well as Sekiro: Shadows Die Twice Interview Talks About Balance, New IP And More.